While I was living in Holland, working for a non-profit barely clinging to life, run by a largely absent disgraced politician and managed by a megalomaniac who turned out to have no actual authority, I had to flee the Schengen Zone (the passport boundaries of the EU) to escape a visa violation. It was an unpaid internship, so I had to work with the savings I already had, while knowing that I had expenses in an costly city for at least another month once I returned and somehow had to pay to fly home. I logged on to RyanAir and found two possibilities–Ireland or Turkey. With a 0£ price tag (I just paid taxes and service fees), I was off by train to Belgium to fly to Dublin to flee my illegal position at a dying non-governmental organization across from the Red Light District. I was excited to visit the birthplace of the bulk of my family, but was apprehensive of the process of illegal exit and return. I had graduated from college just a few months prior and had written my thesis on border crossings and stateless persons–I was all too familiar with what happens if you violate international travel protocol. What’s more, I was dragging along my unemployed boyfriend of a handful of months who had already taken the crazy leap of moving to a foreign country to be with me. His passport, however, was fine. I didn’t want to get us separated and I really didn’t want either of us to use money neither of us had to bail me out of international jail or ship me back home. And I still wanted to have a good time. I mean…why not? I buried my face in those guidebooks from start to finish. We were there on a random weekend in March–too late for the Aryan Island festival celebrating a fictitious priest from a soap opera and too early for St. Patrick’s Day revels. (No wonder the plane tickets were dirt cheap.) I wanted so badly to find cheap sheets, seats, and eats and to show the boyfriend a good time in the Motherland that I did no more than take someone else’s word for it. I had planned our trip down to the pint during the 3 hour plane ride over the Channel and almost forgot to actually live a little. The highlights of the trip actually came in the beautifully silly and unexpected moments no guidebook can lay claim to. We picked up two hitch hikers and went for a hike. We arrived on the Aryan Island too late to get any food and had a lively (albeit garbled and whiskey-addled) discussion with an aged fisherman we think might have been called “Papa Lou” over a Guinness and potato chip dinner. We had roadside adventures and freezing cold hostel nights snuggled together…not a bit of that was in either guidebook I had obsessed over, but aren’t those things the very reasons why we travel? It still took me a while to learn my lesson. I still bother to pick up a guidebook at the library if I’m planning a trip somewhere. Part of me just feels like I’m slacking on planning if I don’t, but most often, that book just sits idle on my desk till it’s time to return it. The plethora of blogs and adventure magazines can help bring a sense of ethos to a place, offer firsthand accounts of sites that are wonderful or horrible, can lend point-of-view, and locals’ tips, which are all great, but the idea of compiling it all into a book that is so structured and rigid and normally only written by one or two people has begun to feel pointless to me the more I travel. What’s more, so much of what’s in guidebooks are offers for expensive ways to engage in a place. Not going on a whale watching expedition or eating at the “famed” (thus often overcrowded and overrated) digs in the capitol does not mean you’re missing out. It just means you’re having a different adventure. It’s hard for me to say this, being an admitted Type-A, East Coast, fast-paced, speed walking, anxious, jealous chick with a mean streak of wanderlust, but sometimes the best way to explore is to slow down and go analogue. Get lost, you know? You may learn later that the Van Gogh Museum in the square four blocks from where you spent the day in a record shop is really quite amazing, but that in no way undervalues the looney experience you just had doing something entirely different. There’s a lot out there to see and do. If we obsess over a few thumbed pages of a guide book or read all the TripAdviser reviews and don’t stretch out a bit and learn for ourselves, we are taking the risk of living someone else’s vacation with their ups and downs and not our own. There is magic in the cracks in between what we might read and being open, adaptable, and ready to be surprised can help make your adventure more meaningful. 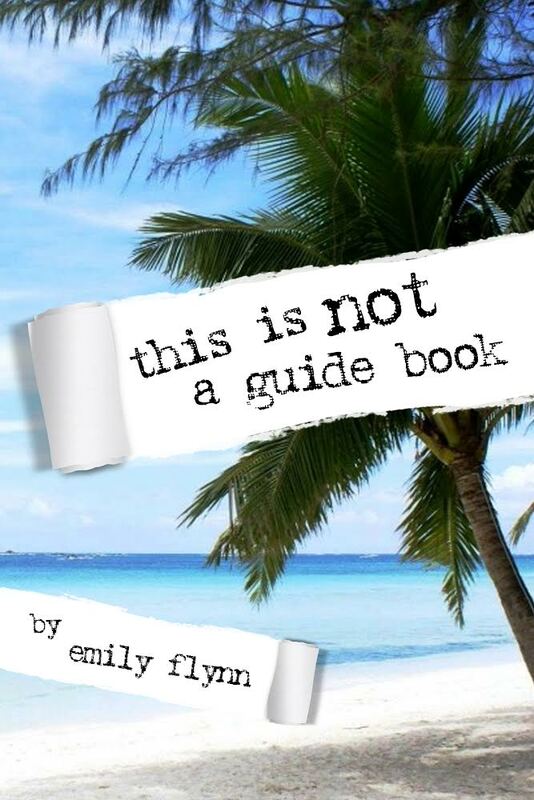 This is excerpt is adapted from the e-book This is Not a Guide Book. There are so many choices out there that I’m completely overwhlmed ..